We Are A Car Removal Company, Car Wrecker, Car Buyer & Car Recycler – All Rolled into One! Why wait to sell your car in Adelaide. You have a buyer with just one call to Cash for Cars Adelaide. Sell car? Your first thought may be that you need to repair and polish it first. Not at all. That is, you won’t have the trouble of repairing or polishing your car, as long as Cash for Cars Adelaide is your car buyer. There is no need to think that we require you to invest in the sale of your car. We buy cars of every make and in every condition. That old Toyota can be sold in “as is” condition. Just as your used Honda that there seems to be no buyer in site for. We are the car buyers and Car Wreckers in Adelaide that buy your car without requiring you to fix and repair it. We are one of the most reputable Car Buyers in Adelaide. The reason is simple. We buy cars of every make and condition and do so for top prices. We are legitimate car buyers, so when it comes time to sell a car, we are the best buyer to contact. Sell your car with a call or contact us through our online quote form for a quote. We guarantee to make you an irresistible offer for your unwanted car or truck today. Used, scrap, damaged, old, unwanted, or wrecked, get it sold today. There is no reason to think that your car is not worth the value of towing. It is worth more. We buy cars of every make and condition, paying the customers cash for their cars and trucks. Quick car sales and fast car removals. Could there be more to ask for in a buyer? How about a top cash price for the car, as well? 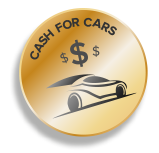 Cash for Cars Adelaide is your car buyer in Adelaide that pays cash for cars and loves to make our best or highest cash offer. So, how much can you get for your car? Call us to find out! If you accept our cash quote, we can then schedule a free car removal in Adelaide so you can expect the cash nearly as quick as you’d like us to arrive to buy & remove your vehicle. We provide car removals at times convenient for our customers, so day or night, we can be there with the cash ready to put into your hands today. Fair cash offers, same day removals, and a Car Removal company in Adelaide that has the experience to buy cars of every make and condition. We are responsible car buyers, wreckers, and recyclers that practise green standards. Wrecked, damaged, old, and scrap cars will be wrecked & recycled, leaving the smallest imprint on the environment. To obtain a cash quote, please contact us at the number below. Quotes can also be obtained online by completing our “Get a Quote” form at the top right of this page. For an instant cash sale for your car, we are the car buyers of choice – the trusted and popular car buyers of choice! Get top cash for your car when you sell cars to Cash for Cars Adelaide. Call us for a quote at 0477 413 136.